Users have many request for features, so do your team members and there are always those pesky bugs that pop up from time to time due to 3rd parties updating their requirements. This leads to a long list of requirements that need to be implemented, but to do that in code, you’d end up with an ever elongating list of features that are taking longer and longer to complete. This will obviously frustrate users that already have very short attention spans. That is a dangerous game to play if you want to succeed with your app, so agile development implements the backlog commitment list to prioritize and organize all the app’s needs. Your backlog is the backbone of your efforts in agile development. Basically, this is a ranked priority list that you work on first and will continue to add to during the life of your app. The most important part of the backlog to familiarize yourself with first are called "User Stories". Different pieces of functionality can be coded in different ways. Certain decisions are common and experience can help you keep your app ahead of the curve and up with the competition. Also, during the actual development, coders will know exactly what you need and what you want to achieve. Through our system your development representative will act as SCRUM master based on this very backlog, written by you and the full team. These user stories exemplify how agile development practices develop the app from the user's point of view. This is done so that user experience and satisfaction is always at the core of your ability to be successful in app development, be that a startup or an organization. In order to get the users to come to your app first, stay on it, and share it with their family, friends & co-workers you need to focus on their needs, enter the user stories. By quoting the individual user stories of the backlog, Blast Off Apps' Mission Command membership lets you see exactly how many hours it will take to develop. From this, you will re-arrange (with the help of the team in SCRUM meetings) the backlog to highlight what is most important for its development to keep users happy and the app succeeding. You will have many different people in your app. There would be users, admins, business considerations, development needs, and more. This is the place you identify which type of user or "persona" you are describing in this user story. By highlighting the correct persona, this gives great insight for development & the other teams work together and be thinking of the same use-case. You will want the persona to be able to do some action, this is where that goes. Of course, you are only writing a user story in order to give them ability that will enhance their time on the app or even more fundamental things like "be presented a splash screen" or "be able to login using my email & phone number". Details win the day and more user stories are better than less. This is the objective of the user story, what the app will do to address the above 2 items. For instance, As a user, I want to be presented a splash screen in order to know I have opened the correct app is one complete User Story. This objective in this case is basically "brand recognition" and splash screens (loading screens) are customary & also have functionality that will need to be discussed. "As a general user, I want to login with my email &/or phone number in order to log into [your app's name]"
The theme of each backlog item in the spreadsheet is a quick, one or two word "theme". This acts as a quick way to find & focus the attention to what the individual backlog item will address for the user. Some examples of themes are "Usability" or "Login/Registration". These themes can be repeated to cover all the different use-case scenarios. For instance, "login/Registration" could be multiple items in the backlog such as "forgot password", "registration", and many more possibilities. This will act as a way to keep things grouped together even when they aren't in the same development sprint. You may be able to wait on allowing social login (like through Facebook) later because it will take too many hours and you want to focus money on developing the MVP, for example. You simply move the social login backlog item below the cutline, but through its theme, you can quickly remember or find it in the future when your users demand it or your development budget allows for it. When you are developing the app, development is going to create a metric for “how long” or “how large” the project is. Velocity takes these numbers and lets you know how much work can be done in any given sprint of code work. This is a very simple calculation, but it gives you a perfect way to see just how fast the team can work and therefore how many features can be delivered in any given amount of time. 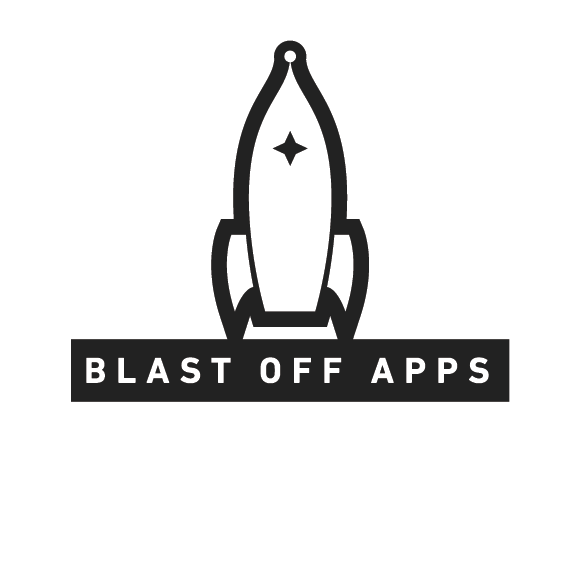 By default, Blast Off Apps uses 1 week sprints that are paid for by the month by our members. This is one phrase that describes the backlog item. As with the theme, this helps keep the items grouped together even when they aren't together in the development cycle. Your summary will be things like "User retrieve password", "User register as new user", or any other number of incarnations needed to portray every use-case in your app, for all of its functionality now and in the future. In our membership's process, the first thing you do is work with your product representative that helps you learn about writing user stories and even creates your first backlog. Based on decades of experience, your product expert will work with you to develop the best backlog possible (as well as working with you on your lean canvas, pitch-deck & other business documents). This alone is worth thousands of dollars. After a conversation, your product expert will produce your first backlog. Once you receive this, you will go through and add the parts you would like to see in the app by filling in requests from users, bug fixes, pivots in company strategy and anything else you would like developed either now or in the future. Development will have ideas to work around certain hurdles in the code that are requiring long hours so your development representative will give input and after the whole thing is finished according to you. Working with the team lead, another agile position we cover, the whole team will collaborate with yours to create the best user experience and app possible.